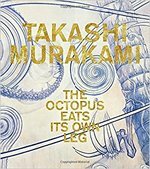 245 00 aTakashi Murakami : bthe octopus eats its own leg / cred. Michael Darling. 260 aNew York : bSkira Rizzoli Publications, Inc.; aChicago: b Museum of Contemporary Art Chicago : b Kaikai Kiki Co., Ltd, c2017. 300 a286 s. : bil. ; c30 cm. 700 1 aDarling, Michael. eRed. 711 20 aTakashi Murakami: The Octopus Eats Its Own Leg. eMuseum of Contemporary Art Chicagod(06.06.2017 - 24.09.2017; cChicago).